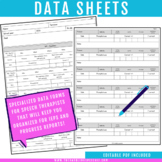 This is my Data collection sheet for Speech Therapy! It has worked pretty well for me over the past few years, hopefully it will work for you! It is saved as a word file for easy editing! This is a Data Collection Template with an area for the goal, accuracy (out of 10), and comments. 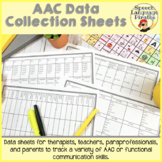 Typically, as a speech language pathologist in a specialized school, my sessions are 3x/week, which is why there are spaces for three days per sheet. Enjoy! Here is a handy little graph for students to keep track of their progress with their math facts. This can be used for Addition, Subtraction, Multiplication and Division depending on where the student is. It is important for students to see their own growth! 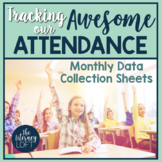 Use this sheet to quickly collect data on students IEP goals. This sheet includes a key with a prompt hierarchy. IEP Goals and Objective Data Collection Sheet!